Equally charming and stern, Heine Wittgenstein is a brilliant man who commands respect, despite his short, childlike stature. Thus, the king of Grannzreich has called upon Heine to undertake a daunting task that has driven away many before him become the new royal tutor to four princes who are in line for the throne. The four heirs each have very distinct and troublesome personalities: Licht, the flirtatious youngest prince; his immature older brother Leonhard; Bruno the studious third prince; and Kai, the oldest of the four and the most reserved. 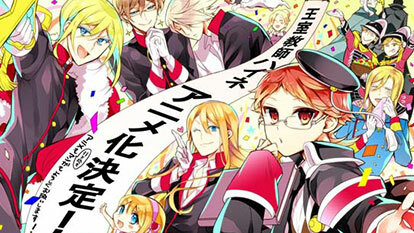 Hilarity ensues as Heine attempts to connect with each of the princes in order to groom them for the throne. However, Heine's mysterious past and dark undercurrents in the present may threaten the harmony within the kingdom.